Fort Lauderdale, Fla. (April 10, 2019) - Coastal Wealth will sponsor South Florida Business Journal’s 21st annual Business of the Year Awards Ceremony on April 26th at Jungle Island in Miami. The Business of the Year award recognizes companies and organizations that sustain and build South Florida’s economy through careful business practice, community involvement and financial growth. Recipients will be chosen across various categories including financial division, as well as special recipients for woman-owned, minority-owned and family business. 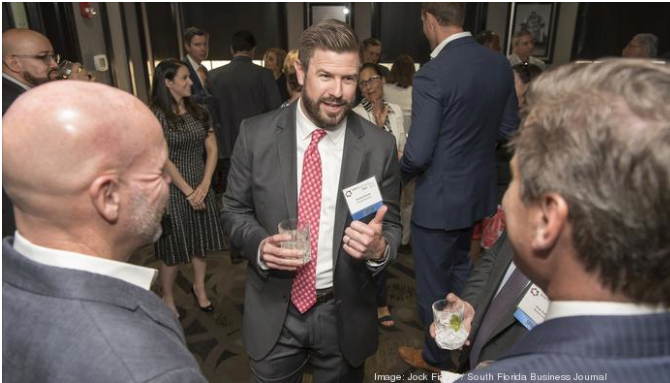 Coastal Wealth also sponsored the finalists’ VIP reception on April 4th at Morton’s The Steakhouse in Coral Cables, hosted by SFBJ’s Editor-in-Chief, Mel Melendez. Finalists include Florida Community Bank, Postal Center International, Chetu, Junior Achievement of South Florida, Plum, and Cherokee Enterprises, Power Financial Credit Union, BBX Capital Corporation, Sixto Packaging, and Modernizing Medicine, among others.